After six live shows, it all comes down to this week’s finale of The Voice. Will Champlin, Jacquie Lee, and Tessanne Chin performed for the last time last night vying for your votes. It’s been a interesting season, with an unmeasurable amount of talent, and taking everything into consideration, predicting a winner is giving me a serious headache... all three are very talented... all three have amazing strengths... all three showed exactly why they are and deserve to be in the finale. Last night, each artist performed three songs – their Blind Audition song, a duet with their coach, and a final song for your votes. After the coaches performed “Pour Some Sugar On Me” together to open the night, Tessanne took the stage with “Try.” It was really well done and felt as though you were at Tessanne’s headlining concert. Will came next with “Not Over You,” and you couldn’t help but notice how much he has grown as an artist. His personality is finally coming through and just adds to his great vocals. Jacquie rounded out the Blind Audition 'flashbacks' with “Back To Black.” There is so much power in her, and sometimes, she does need to reign it in a bit... but still a performance well done. It was no surprise when Matthew was sent home last week, and this week the eliminations are pretty straightforward again. After last night’s show, the voting was opened to determine the Top 3 artists who will move on to next week’s Finale. There will be no Instant Save... For the first time this season, the ‘true’ bottom artists will go home. The show opened with the Top 5 performing “Best Day of My Life.” It was very well done and set us up for what would be coming throughout the hour. Will was actually much more ‘animated’ tonight. James was his usual self, and Cole was Cole but seemed to have some technical issues (I’m guessing), as his voice had a subtle, but weird, electronic hum... fortunately, whatever it was, it was corrected fast and really only affected his first verse. Tessanne brought her lovely accent, and Jacquie was softer and ‘keyed’ down, which really let her vocals shine through. Both the girls were glowing, and it almost felt as though it was a Jacquie and Tessanne number with the three guys playing backup. With Ray and Caroline leaving the show last week, we are down to six. Matthew was also in the bottom three but was spared with the Instant Save. The six remaining artists are all very talented, but only five can advance to next week’s semi-finals. Last night, the remaining six each did two songs – one chosen by the coach, and one chosen themselves as a dedication song. Honestly, there really isn’t much to say about each artist at this stage that hasn’t already been said on more than one occasion by more than one person... so this will be more of a recap than a review. Cole started the night off with “Rich Girl,” a song chosen by Blake. Both decided to forgo the acoustic guitar and, instead, went electric for this song. Going ‘plugged in’ for this song was a smart decision, as it very much fit with the feel of the song. I’m not sure the song itself fit well with the image Cole has established thus far, but he did perform it perfectly. The second song (performed later in the show), “Better Man,” Cole chose and dedicated it to his “first love.” Though they are no longer together, he said that she still makes him “want to be a better man.” This song choice was a much better fit for him. His almost natural vocal ‘roughness’ added a nice element to the song, but there were times where there was too much rasp in his voice. Christina did notice this and gave him the advice of not working his voice so hard in rehearsals, because in the performance, it will sound like someone who has been singing too much and too hard. Last week, we said goodbye to Austin and Kat. I figured Austin would be going home, but Kat should have advanced to the Top 8. Surprisingly, Caroline was also in the bottom 3, but she advanced thanks to the Instant Save (which was no surprise). With two artists going home each week, the remaining ones are under a tremendous amount of pressure... and things can change very fast. After an opening performance by Robin Thicke, James was first to sing for your votes with “Somebody to Love.” Carson commented that James was taking “a big risk with a big song,” but James pretty much nailed it. Walking out on stage with a ‘posse’ of tuxedo clad guys surrounding him set an interesting feel to the song. As usual, his pitch was great... his power notes were almost perfect, and he even threw in a nice falsetto. My only criticism would be his style. Again, he came out singing with that ‘half microphone stand,’ and it just made everything he did look ridiculous. I seemed to fixate on that and lost most of performance. The first time, it was a neat gimmick, the second time... it just had me shaking my head. 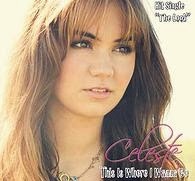 Celeste Kellogg, the soon-to-be-twenty-year-old, is an independent and rapidly rising country music singer/songwriter. Like many artists, Celeste found her love and passion for singing at a young age, while in church and school choirs. It wasn’t long before she realized music is what she was meant to do. At twelve-years-old, Celeste auditioned for and became part of Radio Disney’s tween group RD7. The group opened for The Jonas Brothers, Raven, Miley Cyrus, and The Cheetah Girls. The group also performed on Kelly Clarkson’s “Addicted to Love” tour. After Radio Disney, Celeste put together her own group, No Limit, which (strangely) lead to her being able to add acting to an already impressive résumé when the No Limit Kids: Much Ado About Middle School movie was made by Dave Moody. So, Celeste acts... she dances... she choreographs... but my focus is on Celeste Kellogg - Singer/Songwriter. In 2011, Celeste released her debut album “This Is Where I Wanna Be.” She made her first music video for My Jeans, and her single The Look hit #20 on the charts in Germany. It was her video for The Look that introduced me to Celeste’s music. I came across it recently on Twitter and was immediately impressed... not only vocally but also stylistically. The song tells a story, and the video plays that story out. It’s a fun song and a great video. After watching the video, I knew Celeste definitely had the ‘look’ and the sound to become a huge part of country music. Country music, as with all music, is continually evolving, and Celeste seems to have embraced that in a way that is pretty unique. Her music definitely has the ‘traditional’ country tone, but she seems to be able to incorporate other elements to enhance the song without it losing its intended feel. Her music is youthful, energetic, and fun... but still 100% country. 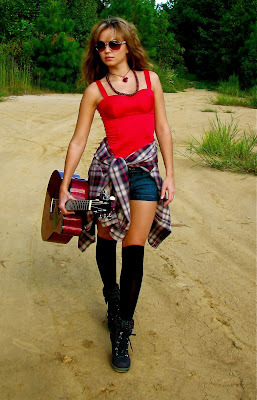 Celeste Kellogg is one of a few artists who is going to lead us into the next generation of country music. Last week (as I had said), the journey on “The Voice” ended for Josh Logan and Jonny Gray. Last night the Top 10 performed, and the pressure to be the best continued, as another two artists will be eliminated tonight. As the number of artists shrink, the competition gets even more serious. Every one of the Top 10 is extremely talented, and it’s getting more difficult to say who will stay and who will go home. At this stage, all have acquired a strong fan base, but song choice will continue to play a crucial role in getting the votes. I’ve got to admit, the Instant Save has added an entire new element to the eliminations (Kat was saved last week). Last night started off with the Top 10 performing “Say It, Just Say It” as a group. I was impressed with how well it did come together, considering how different they all are in style and performance. Caroline is beginning to show a new and more extroverted side of herself. Her confidence has grown, and she definitely seems more comfortable and at home on the stage. Will, on the other hand, seemed off in his own world during the group performance. While everyone was moving (or dancing) along with the song, he just kind of stood his ground... barely moving. He was really stiff and one couldn’t help but notice that. Other than Will, the group was full of energy, and I really enjoyed the performance. Only one week away from the Top 10 performances, and everyone on The Voice is talented, yet so diverse, that it’s hard to figure who will go all the way. Last night, the Top 12 performed with two of them facing elimination tonight. For the first time this season, only the votes will decide who stays and who goes. The coaches no longer have any say or power to save. New this year, however, is the Instant Save. During the live elimination show, after the bottom three artists are revealed, viewers will have a few minutes to 'tweet-to-save' one of the artists. For full details on how the Instant Save will work, visit nbc.com/the-voice. Caroline Pennell was first up last night. CeeLo mentioned that “Caroline has stolen the hearts of America,” but he still wanted to try and bring a more energetic and up-tempo version of her to the stage, choosing “Wake Me Up” to do this. It was an interesting performance, but I feel that certain elements didn’t match well with others. Hair and wardrobe gave her a more ‘grown-up’ look. The stage props were classy and elegant, matching her look, but the background images being flashed across screens behind her were in a style that one would probably find painted in kindergarden classrooms. These images were very distracting and conflicted too much with everything else. Vocally, Caroline did nicely with the song CeeLo picked. He tried to push her out of her comfort zone, but it didn't fully work... maybe he's pushing too far too fast? Her voice is so unique and soft, and there were times where the hidden power in her voice did sneak out, and she sounded great. Unfortunately, there were more times where that power should have come out... and it tried... but didn’t quite get there. Her voice is pure and simple, but Caroline needs to work on bringing that power we caught a glimpse of last night out more often if she wants to win this. She has the personality. She has the connection. She just needs to believe in herself a little more... Hopefully CeeLo can help her bring out what’s really inside her. The first live Elimination Show came and went but not without a few surprises and much talk. The show’s Top 20 needed to become the Top 12. America voted and bought the music, and these votes and purchases saved two artists on each team. The third artist was chosen by his or her respective judge. I nailed who America would choose from each team, but I missed the coaches’ choices (with the exception of Ceelo). Blake, Christina, and Adam left me really scratching my head. Before the results were given, each team performed as a group. Team Blake took the stage first and sang “Free Ride.” There’s not much to say about the performance. It was alright. For the most part, they sang well together, but it was nothing spectacular. The results came and America saved Austin Jenckes and Cole Vosbery. Both are very talented and have connected rather well with the viewers, so it was no surprise America’s votes put them in the Top 12. It’s what came next that surprised me. Blake made his decision and picked Ray Boudreaux as the third member of his Team. Blake said that he picked Ray because he believed Ray was the one he could “move forward with and have the most success with.” Huh? It’s not that Ray isn’t a great singer... he is. I just figured Blake, one of the biggest country superstars in the industry right now (he won Male Vocalist and Album of the Year at the CMA Awards the night before), would have taken his Country powerhouse Shelbie Z to the Top 12... especially after her live performance last week when Blake said to her, “If I had been in a coma and woke up and saw that, I would think that’s one of the biggest stars in country music.” So what happened? Last night Team CeeLo and Team Christina wrapped up the Live Top 20 performances. Ten more talented artists grabbed the microphone and took the stage in hopes of making it through to the Top 12... remember, only three artists from each team will move forward. Tuesday’s show was very different from Monday’s, and I’m not sure I agree with how much the production was changed. From the opening numbers (Christina was a part of both) to the contestants’ performances... the two shows were like night and day. Monday night started off loud, flashy, and full of energy. It set the tone for the rest of the show, and most contestants used and exhibited that kind of energy in their performances. Tuesday, in stark contrast, production stripped everything down. The opening act by Great Big World, accompanied by Christina Aguilera, was absolutely beautiful, but it was so tame... a piano, a microphone, and a few spot lights. While it was a emotional performance, there was nothing else. Sadly, this set the tone for most of the remaining ten artists. Sure, by stripping it down, we can more easily focus on the talent of the artists, but I think it gave an unfair edge to those from Monday. I do agree that when you have the band, light shows, and dancers, it takes a little away from the actual vocals... but it makes for one heck of a show. With minimal light effects, a hidden band, and no dancers, we can see what the artist really has vocally. But was this fair? My answer is no. Both nights should have been the same, so we could make the same type of judgement and form the same kind of opinion for each artist performing. At this stage in the competition, people are beginning to form opinions and to pick favorites... and many people are heavily influenced by the ‘show’ surrounding the vocals. What I’m saying is that a stripped down show is fine, but it should have been done for both nights then. I'm afraid this production decision may create some biased decisions. 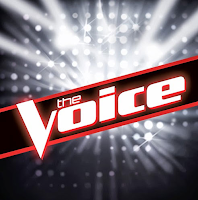 Last night, “The Voice” began its Live Shows. This week the Top 20 perform over two nights, with the results being shown on Thursday. Each team currently has 5 artists, but on Thursday, each team will be brought down to three—making this year’s Top 12. After the performances, the viewers vote. Their votes will put two artists from each team into the Top 12... the third artist will be chosen by the respective coach. Monday’s show featured Team Adam and Team Blake and opened with Christina performing with Flo Rida. Their opening number was impressive and included a spectacular display of morphing stage props, magician like movements, lights, dancers, and ended with a couple of large confetti cannons. I wonder how much added pressure that opening act put onto the contestants? Really... how do you follow that? Tomorrow is “Country Music’s Biggest Night™,” and the fans are not going to be disappointed. All week, country music fans have been celebrating the music and preparing for “The 47th Annual CMA Awards” broadcast. When the nominees were announced, I wrote a piece on the CMA Awards... you can read it here. With tomorrow’s broadcast, it’s time to share my predictions on the winners and the exciting list of performers. The two I’m most excited to see are Carrie Underwood and Kacey Musgraves... but all of them are great and will do nothing less than entertain. The final round of Knockouts, to fill the remaining spots in the Top 20, was full of talent, surprises, and nerves. Sixteen artists took to the stage, but only ten moved on to the Live rounds. Last night, I watched the East Coast broadcast... then I watch again with the West Coast. I watched twice—partly because a couple performances were that amazing and partly because I didn’t agree with some choices and wanted to see if I missed something. Even after the second time around, however, I still stand by my opinions. October rolls in... and the Halloweentown movies are guaranteed to show up on television. Who would have thought that fifteen years after Disney first released its Original Movie Halloweentown, it would still be a staple of today's Halloween traditions. The Halloweentown movies are to October what Miracle on 34th Street is to December. Many movies are synonymous with the Halloween season, but none have the excitement or 'cult' following that encompass Halloweentown. Why is that? The simple answer is just that—they are simple movies, and each one combines just the right amount of ‘creatures’ with an interesting, humorous, and fantastical storyline. Additionally, the characters and how they deal with and overcome the underlying ‘real-life’ issues in the movie add an element of realism. You put these all together, with an amazing cast, and you’ve got what’s needed to keep the movies in the mainstream, year after year. Tuesday night the final battles were played out. Each coach has eight artists, so we go into the Knockouts with thirty-two singers. During the battle rounds, I lost four of my original top twelve picks, but after the battle rounds, a couple of artists showed me what they're really capable of... so I add two to my list to make my Top Ten after battle rounds. It’s the final week for the Battle Rounds on The Voice, and last nights show highlighted just how much the remaining artists want the win... but it also had a few shocking choices and some surprising performances. Katy Perry’s album, Prism, is set for worldwide release on October 22. I could sum up the entire album review with one sentence: "Prism is one of those few albums that every track is worth listening to." Its not very often I will go and buy an entire album when its released, but Katy Perry’s new release is one of them. There will be no picking and choosing certain songs to download, because each track on the disc is great. Katy Perry put together an amazing song list, and her fans are going to be very impressed. It will be no surprise when the album hits number one. A prism, by definition, separates white light into a spectrum of colors. The aptly titled album Prism separates Katy Perry's different feelings and emotions. The majority of this album shares with us some very personal and very real emotions and feelings. On a whole, Prism is probably Katy’s most personal album to date and acts almost as a diary she is allowing the world a peek into. Artists will often take events from their lives and incorporate them into their works. Relationships, decisions, regrets, or achievements are just a few of the many things artists will use. When it comes to musical artists, it doesn’t matter if they write the song or just find a song they connect with deeply, they draw from their personal lives to add emotion and personality to the song. This is what makes an amazing singer and what creates a hit song. What bothers me, however, is the amount of people who try to figure out (or speculate publicly about) who or what the song is about. It doesn’t matter, and it really is none of our business. The song is their public expression they have chosen to share... the reasons are theirs to hold privately. Katy Perry infuses many different personal elements into Prism, and the lead-off single “Roar” pretty much sets us up for what the mood and theme of the complete album is. While I wouldn’t call it an ‘anthem’ like many people have, the song definitely sends a message that regardless of what is happening in your life, you are still in control... you make the decisions... you are powerful. When Katy sings that she “went from zero to my own hero,” she shows that you are always “the champion" of yourself. While many of the songs deal with love and relationships, the messages can be applied to almost any aspect of one’s personal life. It’s mostly about taking time for and loving yourself. It shows that, in life, there is no room or purpose to dwell on mistakes. Learn from them and allow yourself to grow stronger from them. Life is short, so don't live in yesterday or worry about tomorrow... Live in today. While the theme is instilled into many of the tracks on the album, Katy Perry does mix in some traditional Katy, some new Katy, and some fun Katy. “Legendary Lovers” is very different and infuses a sense of Dubai mixed in with a unique blend of a slow pop beat and fast lyrics. Though it doesn’t have much of a hook, it has a very infectious beat. “Legendary Lovers” may not be a song you'll hear on the radio or in clubs, but it is a song worth having on your playlist. “Birthday” brings some of the traditional and fun Katy to the disc. A simple song with a fun beat... though you may have to come up with a creative way to explain “So let me get you in your birthday suit. It's time to bring out the big balloons” to a younger fan... still cute and playful. “Walking on Air,” the fourth track on the album, gives a small break to the overall theme. This is absolutely made for the clubs and has an electrifying dance beat. It’s fast tempo and catchy chorus will pump the dance floor. The techno-like bridge builds you up before coming down at just the right moment before pushing it full out again. One of the best dance tracks I’ve heard in a while. Another worthty mention is the final track on the basic version (there are three additional bonus tracks on the deluxe version). “By the Grace of God” is highly spiritual and takes us deep into Katy’s personal dealings with events in her life. The song plays as multiple diary entries comprising each verse. Katy exposes the struggle and pain experienced during a period in her life and paints a very vivid picture of feeling lost and hopeless, but by “The Grace of God” and the love of friends and family, the courage needed to win the fight and find meaning is achieved... the final chapter in the diary of Katy Perry: Strength, Power, Respect, and Love for oneself. I could go through each track, but what I’d have to say would pretty much be the same thing with different words. Really, every song is amazing and worth having. What impressed me the most, however, is how pure and raw Katy is throughout this album. There was very little, if any, ‘auto-tune’ or any type of digital enhancing. Prism is pure Katy Perry. I wish more artists were like her. She is a very talented vocalist and doesn’t need to rely on ‘technology’ to produce a number one album. She relies only on herself and what she can do. Fans see this and respect her even more for it. So I’ve only one thing left to say—Buy Prism! … The entire album. I’d go with the Deluxe version as the bonus tracks are too good to pass up and worth the extra few dollars. This is one album that you can just press play and walk away... the ‘skip’ button will not be needed. The second round of battles took place Tuesday night. Like Monday’s episode, there were six battles that took place, but with Tuesday’s show only being an hour long, we only saw three complete battles. NBC showed only highlights from and the coaches’ decisions on the other three battles. While I completely understand the need to edit for space (or time when dealing with television), I’m not sure how fair this is to the artists who’s exposure is cut short. Just as the name suggests, the contestants compete in a vocal battle against each other, with the winner staying and the other going home (unless another coach steals them). 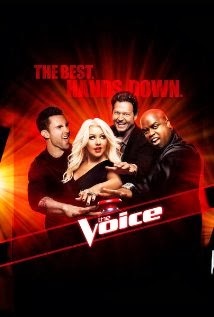 As my first year of watching The Voice, I found The Battle Rounds energetic, entertaining, and sad. Every one of the contestants is so talented, it was hard to see some of them go. Before the Battle Rounds, the coaches, with assistance from some expert advisors, train each competing artist for the battle before they hit the stage. Christina recruited Ed Sheeran to help her coach her team. CeeLo got the help of Miguel. Adam had Ryan Teddler, and sitting beside Blake as he coached his team was Cher. We don’t get to see much of the coaching, but that’s not the main event. So how did last night's Battle Rounds play out? If you haven’t seen the episode yet, STOP reading here. Review and results ahead. Thursday night, the emotionally heartfelt and tear-inducing episode of Glee aired, aptly titled “The Quarterback.” This episode of Glee was a tribute to the late Cory Monteith and to his character Finn Hudson. Some are upset that Glee, a show known for dealing with sensitive issues, failed to incorporate Monteith’s addiction issues into the death of Finn Hudson, but this would not have accomplished anything. The circumstances surrounding Monteith’s death are completely irrelevant to Finn Hudson’s death. They are not the same ‘person,’ and at no point was there ever any indication that Monteith’s character Finn struggled (or even experimented) with drugs. How could the producers of Glee justify ending Finn’s life that way? They couldn’t, and I’m glad they didn’t. It would have served no purpose, other than to tarnish the memory of the character. By not incorporating a cause of death into the episode, Glee was able to accomplish a rather complicated and astonishing feat—the ‘line’ separating Cory Monteith from his character Finn Hudson was blurred just enough to allow a little of each to cross over into the other. If it was declared that Finn Hudson died as a result of drugs, it would have put too much emphasis onto Cory; conversely, if Finn Hudson was said to have died in a completely different way (a car accident for example), it would have taken away too much from Cory. By not saying how Finn died, a perfect balance of actor and character was achieved. 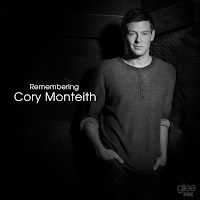 We were able to mourn the loss of Finn on Glee, while still remembering and mourning the loss of Cory. Slightly blurring that line between Cory and Finn created a ripple effect through the rest of the cast. As their characters paid their musical respects and worked through the pain they were all feeling by the death of Finn Hudson, we were also allowed a small glimpse into the sadness the cast was feeling by the loss of their friend and costar Cory Monteith. The strongest of this was evident when Lea Michele’s character, Rachel, made her appearance in the latter half of the episode. Standing in the glee club room and touching her necklace with the name “Finn,” Rachel quietly and simply said that “Finn was my person.” Everyone knows the relationship between Finn and Rachel extended very deeply off-screen as well, and Lea has an identical necklace with the name “Cory.” By fusing this element into her appearance on the episode, we could feel Rachel’s pain at losing Finn, but we were also deeply hit with how much Lea loved and is mourning the loss of Cory. When she performed her rendition of “Make You Feel My Love,” it was as though we were watching two separate hearts breaking in the same body. The truth and depth of Lea’s emotional, and probably most difficult performance of her life, was breathtaking, and it honestly could not have been done better. Overall, I can’t even find the words to describe how well everyone involved did in creating this masterful work of television. “The Quarterback” was, by far, the most emotional and involved episode of any television show I’ve ever watched. Glee drew you into their world to share in the remembrance and celebration of Finn’s life, as well as Cory’s. So, no, it doesn’t matter how Finn died. It doesn’t even matter how Cory died. All that matters is how they lived. The people who's lives they touched... the lives they changed... and the people they loved and were loved by... That’s all that matters, and that’s all that should be remembered. Well done FOX. Well done Glee. Well done everyone. Thank-You! In honor of Cory Monteith, Fox Broadcasting Company, 20th Century Fox, and Columbia Records will be donating all proceeds from the sales of the episode "The Quarterback" and all songs featured in the episode to Cory's favorite charity Project Limelight. Monday night the final few were chosen, and each coach’s team was filled with twelve exceptional artists. The caliber of talent on The Voice is incredible, and the coaches’ experiences and advice are going to make that talent flourish like never before. Adam Levine filled his team with two outstanding artists. Matt Cermanski walked on the stage for the second time (last season he turned no chairs) and blew us away with his rendition of “Have a Little Faith in Me.” Adam, CeeLo, and Blake all showed they had faith when their chairs turned, but when Adam’s chair turned, Matt’s face lit up and his performance shot into high-gear. The versatility and range of his vocals made for one of the best performances of the night... It even earned a standing ovation from Adam. Grey, a twenty-five year old member of a wedding band, was the final addition to Team Adam. She grew up singing country and attended the Berklee College of Music. Grey has one of those voices that can be deeper when she needs it to be but also hit those high notes people seem to crave for. Her song choice of “Catch my Breath” was perfect to showcase her amazing range and control. Both Grey and Matt are the ones to watch on Team Adam. CeeLo Green had three spots to fill on Monday’s final Blinds. He picked up Tamara Chauniece, a Gospel trained and raised artist who dreams of going more mainstream. Her voice is pure and easily captivates her audience. CeeLo also grabbed twenty-six-year-old Lupe Carroll. His version of “If I Were a Carpenter” exposed a rather unique and interesting vocal tone. CeeLo was intrigued enough to turn his chair and was happy to add Lupe to his roster. Shawn Smith rounded out Team CeeLo. The army veteran, who suffers a hearing impairment in his right ear, nailed his audition with “Chicken Fried.” His dedication and determination really inspires, but it was his country edge and strong vocals that earned him the well deserved final Team CeeLo spot. Blake Shelton filled his final slots with two absolutely amazing country stars. Brandon Chase completely nailed it from the first note of “Wanted.” He is the real deal, and Blake knew that country music is in Brandon’s blood. Brandon’s vocals are outstanding, but at the same time, natural. He it made seem completely effortless and second-nature while he was on stage. Even after the audition, Blake walked into the ‘family/friends’ room to tell those who came to support Brandon just how proud they should be of him... that was a nice gesture on Blake’s part. Blake completed his team with one more country powerhouse. Brian Pounds took the stage with “Wagon Wheel” and sounded like we were all watching a headlining concert. He felt at home on that stage, and his confidence poured into his singing. He has a great country tone and a simple, natural sound. Team Blake is full, and these two amazing country artists round out his team perfectly. Christina Aguilera had only one spot to fill last night, and she was being patient until she found “that one special male vocalist” that she just had “to have.” Team Xtina is already a powerhouse the other coaches should fear, but when she turned for the unbelievable Michael Lynch, she completely solidified her team’s strength. Michael is a pop singer with an added Latin element, and when he performed “Bailamos,” the audience went wild and Christina lit up. His soft-pop tone is full of power. His range is vast, and his pitch is flawless... you add the abundance of energy and charisma he blasts out and you’ve got the one that could go all the way. Christina was so impressed with Michael, that after he chose her as his coach, she called for a microphone and performed an on-the-spot mini-duet with him. Michael’s performance truly was the highlight of the night... if not the entire Blind Auditions. So with the teams all filled, we anxiously await the Battle Rounds to begin. Again, I’m new to watching The Voice, so I’m not entirely clear on what to expect, but I am excited for next week. Follow me and my thoughts on Twitter and Facebook and don’t miss my weekly posts on what I see, hear, and think on The Voice. 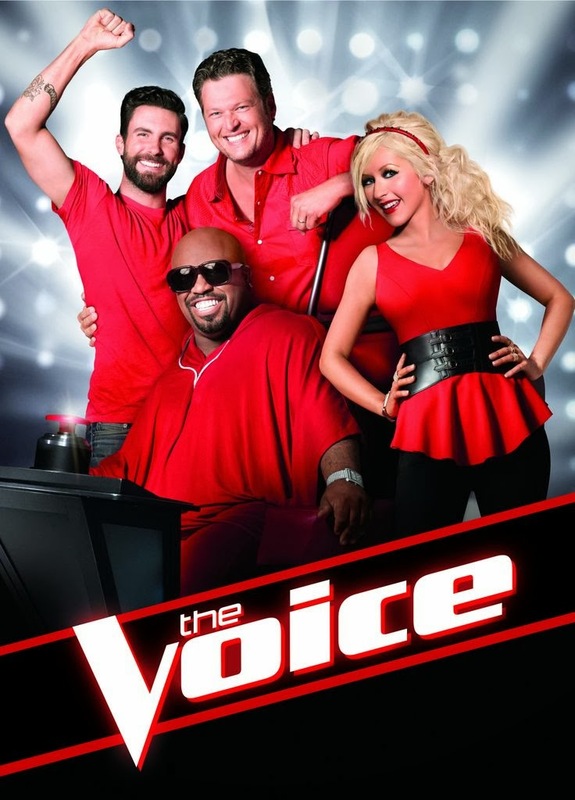 Watch the voice every Monday and Tuesday on NBC! Check your local listings for times. 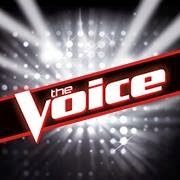 Go to nbc.com/the-voice for all the great info on the judges and artists. You can also find the links (for iTunes) to download the performances from each night. Who caught your ear? Who’s your favorite? What do you think of the show? Leave your thoughts and opinions in the comments below, or connect with me on Twitter and Facebook. See you next week for the Battle Rounds! The team rosters are almost complete, and soon, the battles will begin. Last night was the fourth round of Blind Auditions, leaving only one round left for the coaches to complete their teams. The talent last night was flowing hard and fast, and the coaches where ‘fighting’ just as hard to entice the artists onto their teams. CeeLo picked up only two artists last night: Past gospel trio group member R. Anthony and fitness/dance instructor Keaira Lashe. Team CeeLo now has three empty slots to fill next week. Blake managed to win over three singers last night, leaving just two spots open on Team Blake. Sam Cerniglia, a wedding/event singer turned Blake’s chair and CeeLo’s chair. His rendition of “It’s a Beautiful Day” was energetic and his range rather broad, but he sounded too much like a wedding singer. Cerniglia is very talented, and Blake is the one that will be able to expand his talent and range beyond that of ‘the wedding singer.’ Also joining Blake’s team is fifteen-year-old Emily Randolph and country singer Justin Chain. Adam scored big last night, picking up three very strong voices. Will Champlin won over three chairs with his incredible voice and amazing rendition of “Not Over You.” With his steady pitch and great range, Champlin will take Team Adam pretty far. After all four chairs turned, Adam was able to take Ashley Dubose away from Blake, Christina, and CeeLo. She was definitely the coaches favorite of the night, and though her performance of Rihanna’s “Diamonds” was absolutely solid and truly amazing, it just didn’t grab me. She’s got the talent and a great coach. I’m curious to see where that will take her. Adam’s major score of the night, however, was James Irwin. Irwin auditioned for The Voice last season, but no chairs turned for him. People often say the second time around is always better, and Irwin proved that beyond any doubts this season while performing “Losing My Religion." His personality, his control, and his rocker edge made watching him the highlight of the night. He put everything of himself into that song, and all four chairs turned. James Irwin is a rocker at heart and is perfectly at home on Team Adam and one of my top two picks for the night. Amazing performance. Christina’s already powerhouse of a team picked up three singers, leaving her only one slot to complete her team. Team Xtina added seventeen-year-old Amber Nicole and cruise ship entertainer Stephanie Anne Johnson. Christina also managed to win over the very talented country singer Olivia Henken. Henken has been singing since she was four-years-old, has entered over a hundred singing competitions, but is still trying to be ‘recognized.’ I actually find that hard to believe after hearing her perform “Two Black Cadillacs.” She beamed with confidence, and her soft and sensual voice simply captivated you. Her vocal range I’d liken to Carrie Underwood. Olivia is a cowgirl in her heart, and ironically, I think Christina is the best choice for her. You will be seeing Olivia in the top ten, and she rounds out my top two of the night. As the teams stand now, I suspect that Christina may just have the power to de-throne Blake Shelton this season. Dont' miss the final round of the Blind Auditions next Monday on NBC. Follow me and my thoughts on Twitter and Facebook so you don’t miss the weekly posts on what I see, hear, and think on The Voice.